Choosing the right collision center is an important decision following a car wreck. Plan B Autobody believes in repairing your car or truck the right way the first time after an accident. We use high quality original manufacturer parts whenever possible. We care about each and every customer who walks through our doors. Our collision repair experts work diligently so you can leave with your car looking as good as new. 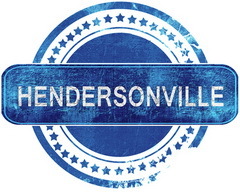 Most of our customers drive or get towed from Hendersonville and they tell us it is worth it to get their car or truck repaired the right way with high attention to detail. Our shop is located 23 minutes from Hendersonville at 1625 Highway 31 W Goodlettsville, TN 37072. Call us after your wreck and we will take care of the rest. We work with all insurance adjustors to work out the details of your repair. At Plan B, we understand you need your car fixed fast so you can have it back to drive as you did before the accident. We have the highly skilled and experienced staff on board to work on your car as soon as it arrives. We make every effort to provide you with an accurate estimate of the time it will take to fully repair it and get it back to you.